† The following matters are restrictions of the software. 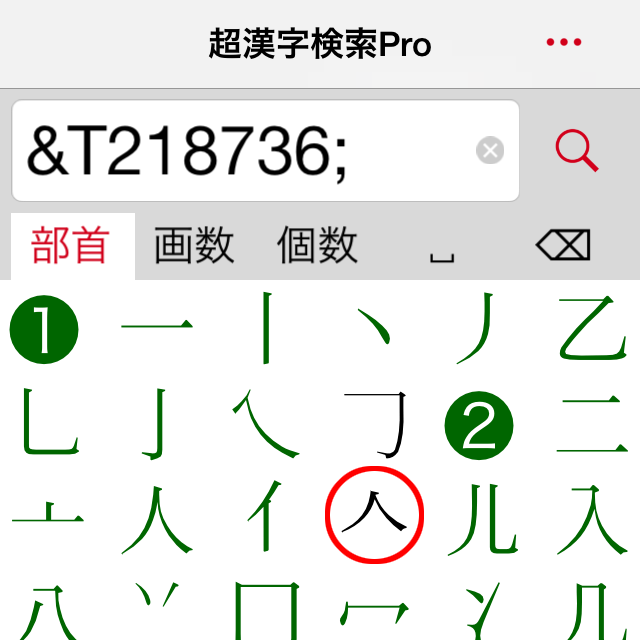 Regarding the unified kanji characters (Japanese, Chinese and Korean kanji) by CJK Unified Ideographs of Unicode, their character shapes and character info cannot be displayed separately. When the setting "Use internal font" is enabled, some kanji characters in the parts list may be displayed incorrectly. When you select parts from the parts list, or when you input the character in the search result as the search criteria, the text box may show the character code (TRON code by &T-format) like "&Tzzyyyy;" instead of the character. The following 28 characters out of 292 parts are displayed in TRON code by &T-format (&Tzzyyyy;). Depending on the character type or the app on which the character will be pasted, there is a limit on the character type which can be pasted as the character code. Non-Unicode characters are pasted as TRON code by &T-format (&Tzzyyyy;). If &T-format or the undefined character is displayed, it works perfectly as the search criteria. Thus, if you delete "&Tzzyyyy;" or the undefined character, it is deleted from the search criteria, too.